Over the past year, the Hospitality House has been blessed to have directors James and Martha Parrish serving with love in everything they do. Their genuine smiles, listening ears, and helping hands show the love of Christ to all who visit and stay overnight. They are tireless in the willingness and efforts to share the gospel with every person they encounter. They also extend hugs, prayers, and food to all in need. The CTHH Board of Directors gives God all the glory for answered prayer He gave in James and Martha. Those words ring true when describing the new Central Texas Hospitality House Director, Lou Ann Price, and her husband, Darrell. Serving at the Hospitality House is not a job for them. It’s their calling. They know that to love others, it’s not only about their sharing the good news of Jesus Christ, but also sharing their lives. 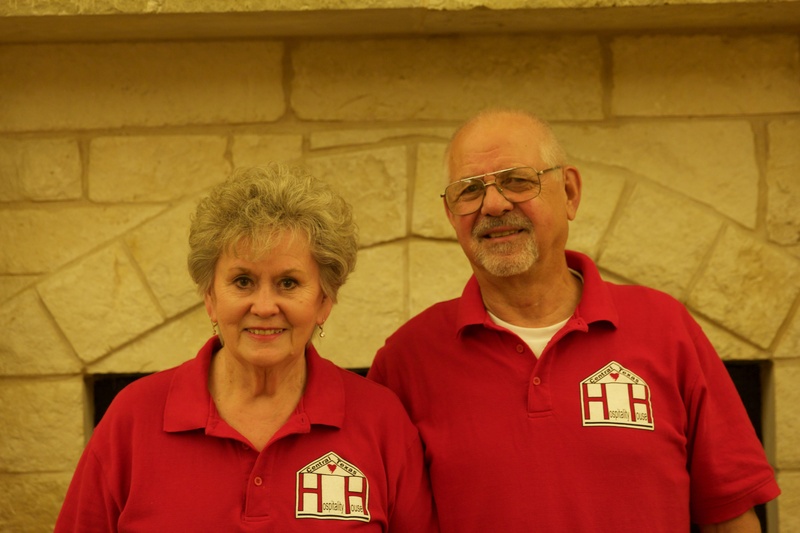 Lou Ann and Darrell have moved in to the director’s apartment at CTHH, and CTHH is now their home. They answer the door with welcome smiles and warm hospitality. The CTHH Board of Directors gives God all the glory for answered prayer He gave in Lou Ann and Darrell. There were times when it seemed impossible. There were circumstances that seemed insurmountable. There were delays that seemed incomprehensible. But this we know: Our God is faithful. 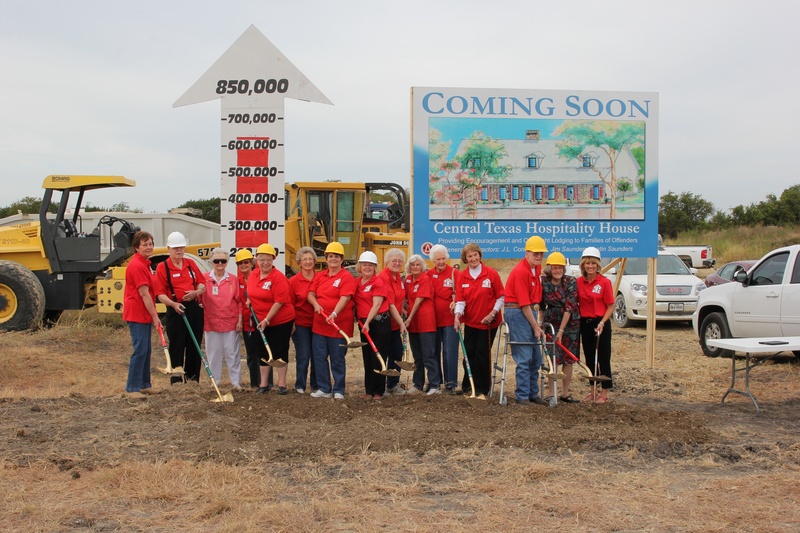 And this we also know: The Central Texas Hospitality House is opening! Join the Board of Directors and all those who helped make God’s vision for offering hope and encouragement to the families of offenders a reality as we celebrate with an Open House on Sunday, September 14 from 2-5pm. The official dedication ceremony will take place at 2:30pm; tours will be available from 2-5pm. Refreshments will be served. All are invited to join in this special celebration. For more information, contact Charlie Wise at 254.223.2828. Sometimes it’s hard to see what faith looks like. You might question if you have heard God clearly. You might wonder if God’s timing is on schedule. You might even doubt, especially when what God is calling you to do is way bigger than what you thought possible. This is what faith looks like. Immeasurably more than all we can hope for or imagine. 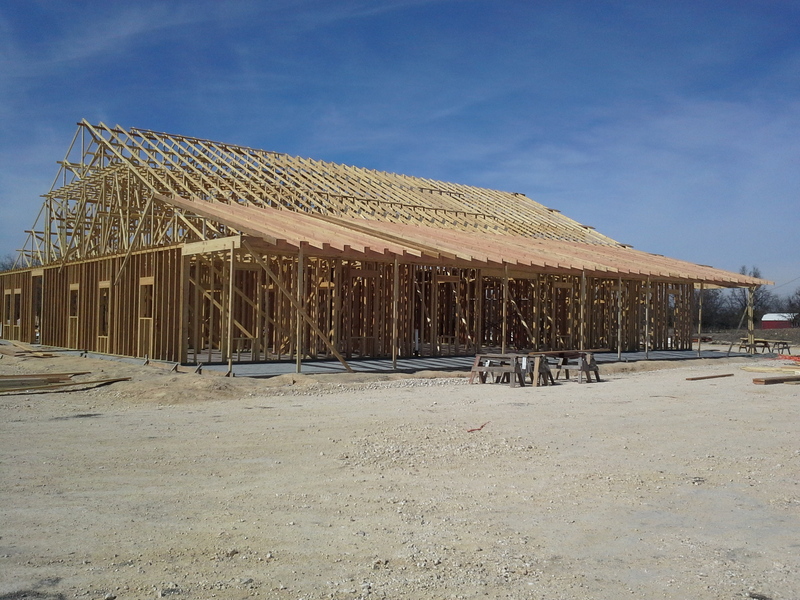 Construction progress on the new Central Texas Hospitality House has been steady and good! 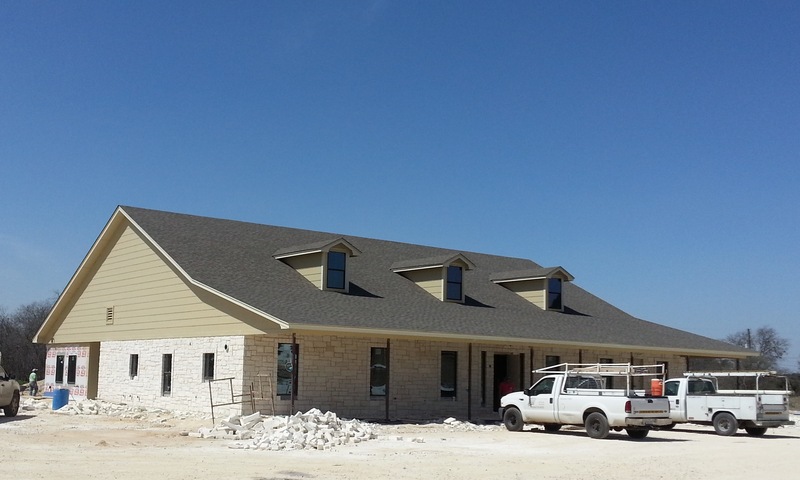 The Texas Baptist Men will be arriving in just a few short weeks to begin work on cabinetry. Various churches and organizations are stepping up to provide bedroom furnishing and other needed furniture and items. If you are interested in helping, please contact us. We are still shy of our fundraising goal, but we know this, too, is what faith looks like. We invite you to share in our faith with your prayers and financial support. Click here for more information on donations. That is the prayer and the mission of the Central Texas Hospitality House, the house that God is building. He has faithfully provided every step of the way, and He extends an invitation for each of us to join Him in His work. 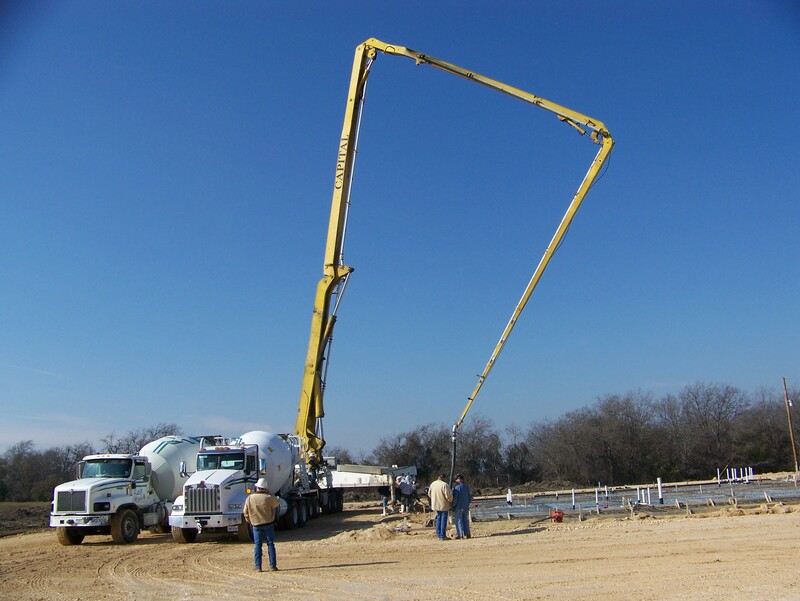 The foundation for the Central Texas Hospitality House was poured on December 12, 2014, but the real foundation came over 2,000 years ago, in a manger because there was no room at the inn. With eager anticipation and excitement, we will watch the Hospitality House being built on this foundation, yet all the while 1 Corinthians 3:11 reminds us, “For no one can lay any foundation other than the one already laid, which is Jesus Christ.” He is the foundation of everything we hope to do in serving inmate families. 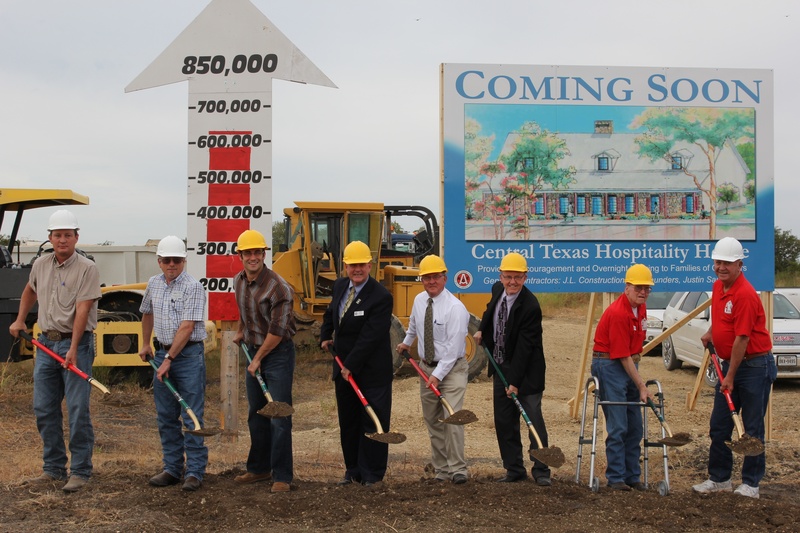 Today was the official groundbreaking for the Central Texas Hospitality House. With over 60 people in attendance, it’s safe to say the kickoff was a huge success. Energy and excitement were aplenty as many in the crowd were seeing dreams that were years in the making come to fruition. The pictures show the joy of those most involved with making this day happen. I’d like to think their smiles resemble what Moses must have looked like when he came down from Mount Sinai after the Lord had given him instructions and a vision for building the Tabernacle. Scripture says that Moses wasn’t even aware just how radiant his face was because he had spoken with the Lord. City officials breaking first ground! Hospitality House Board of Directors getting their turn to dig in as well! We can only hope and pray the Hospitality House receives a blessing similar to that which the Lord placed on the Tabernacle. We pray that “every skilled person to whom the Lord has given skill and ability to know how to carry out all the work of constructing the sanctuary are to do the work just as the Lord has commanded.” (Exodus 36:1) We pray we may hear the same words reported to Moses by his workers, “The people are bringing more than enough for doing the work the Lord commanded to be done.” (Exodus 36:5) And finally, we pray when it’s all said and done that the glory of the Lord will come fill the Hospitality House just as it did the Tabernacle upon its completion.